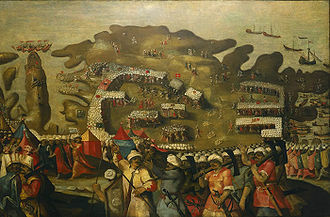 The Siege of Malta - Flight of the Ottomans by Matteo Perez d'Aleccio, showing Don García's relief force battling the retreating Ottomans. He was born at Villafranca del Bierzo, the son of Pedro Álvarez de Toledo, Marquis of Villafranca, Viceroy of Naples between 1532 and 1553. His mother was Juana Pimentel, Marchioness of Villafranca del Bierzo. 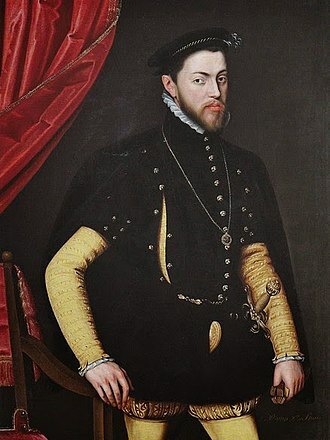 The famous Duke of Alba, Fernando Álvarez de Toledo, was his first cousin. Among his many siblings was Eleonora of Toledo, wife of Cosimo I, Grand Duke of Tuscany. He started his military career under the command of Andrea Doria in the galleys of Naples, as commander of two ships. In 1535, already the commander of six galleys, he distinguished himself in the battles of La Goletta, Tunis, Algiers, Sfax, Calibria y Mebredia. 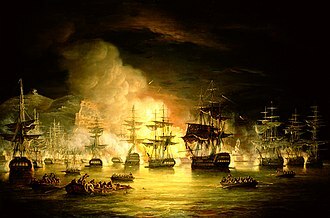 After this he was named Capitain General of the Galleys of Naples. 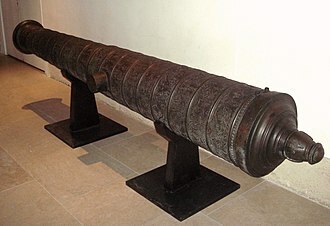 He was Capitain General of the expedition to Greece, and Capitán General del Mar, a title he received in 1544 after having fought Hayreddin Barbarossa. He was Viceroy of Catalonia between 1558 and 1564. He then became Colonel General of the Infantry of the Kingdom of Naples and finally, between 1564 and 1566, Viceroy of Sicily. As Viceroy of Sicily he accomplished his two greatest achievements: the conquest of Peñón de Vélez de la Gomera in 1564, and the relief of the Siege of Malta (1565). For this he received from King Philip II of Spain the titles Duke of Fernandina and Prince of Montalbán on 24 December 1569. He died at Naples in 1577. ^ Crews, Daniel A. (2008-10-22). 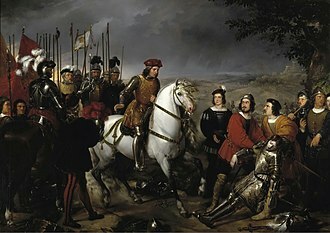 Twilight of the Renaissance: The Life of Juan de Valdes. University of Toronto Press. ISBN 9781442692978. 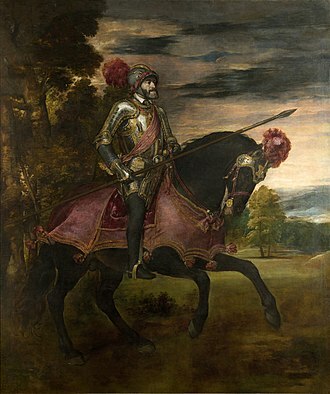 Cosimo I de Medici was the second Duke of Florence from 1537 until 1569, when he became the first Grand Duke of Tuscany. 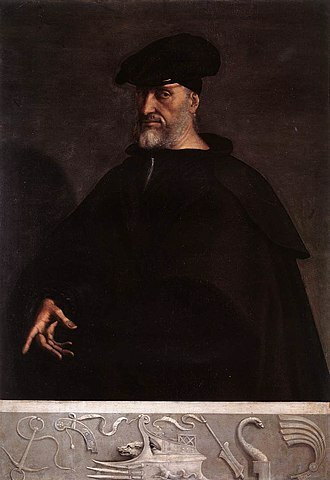 Cosimo was born in Florence, on 12 June 1519, the son of the famous condottiere Giovanni dalle Bande Nere from Forlì and he was the grandson of Caterina Sforza, the Countess of Forlì and Lady of Imola. Cosimo came to power at 17, when the 26-year-old Duke, Alessandro de Medici, was assassinated in 1537, Cosimo was from a different branch of the family, and so far had lived in Mugello, and was almost unknown in Florence. However, many of the men in the city favoured him. Several hoped to rule through him, thereby enriching themselves at the states expense, however, as Benedetto Varchi famously put it The innkeepers reckoning was different from the gluttons. Cosimo proved strong-willed and ambitious, and soon rejected the clause he had signed, when the Florentine exiles heard of the death of Alessandro, they marshalled their forces with support from France and from disgruntled neighbors of Florence. During this time, Cosimo had a daughter, Bia. 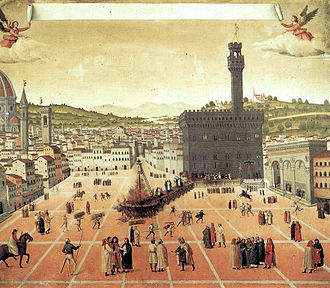 Toward the end of July 1537, the exiles marched into Tuscany under the leadership of Bernardo Salviati and Piero Strozzi. When Cosimo heard of their approach, he sent his best troops under Alessandro Vitelli to engage the enemy, which they did at Montemurlo, after defeating the exiles army, Vitelli stormed the fortress, where Strozzi and a few of his companions had retreated to safety. It fell after only a few hours, and Cosimo celebrated his first victory, the prominent prisoners were subsequently beheaded on the Piazza or in the Bargello. Filippo Strozzis body was found with a sword next to it and a note quoting Virgil. 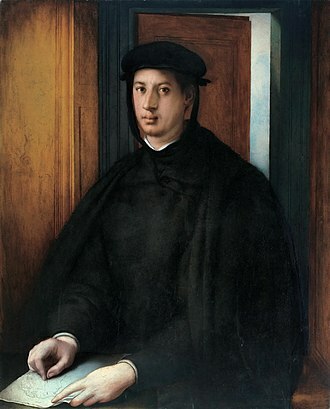 In June 1537 Cosimo had sent Bernardo Antonio de Medici to Charles V to gain his recognition as head of the Florentine state and that recognition came in June 1537, in exchange for help against France in the course of the Italian Wars. With this move Cosimo firmly restored the power of the Medici, the help granted to Charles V allowed him to free Tuscany from the Imperial garrisons, and to increase as much as possible its independence from the overwhelming Spanish influence in Italy. 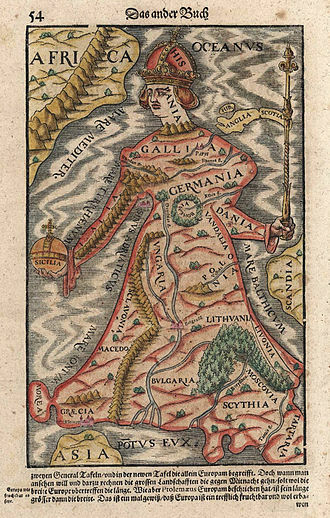 Leonora was born in Florence, where she was brought up by Cosimo and Eleanor of Toledo, her aunt and namesake. 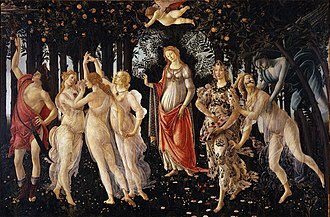 Betrothed to their son Pietro at the age of 15, she blossomed under the wing of Pietros older sister and her marriage, like Isabellas, was not a success, and she followed her mentors example of taking lovers. 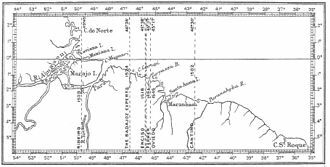 For this reason, Pietro had her brought in 1576 to the retreat of Cafaggiolo. 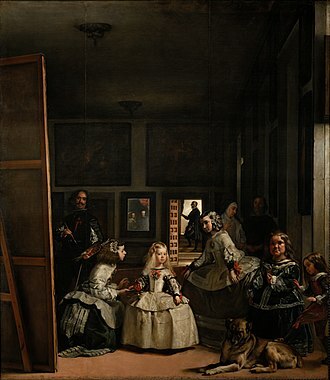 Cosimos successor, Francesco I, tacitly approved the murder, until recently, little was known of Leonora di Garzia di Toledo, and she was not identified as the sitter of several portraits of her. The facts of her life have emerged from the growing scholarship on Isabella de Medici, in the view of art historian Gabrielle Langdon, Her story is valuable in revealing attitudes and legalities attendant on the lives and decorum of women in the early-modern Italian court. Born at the Florentine court in March 1553, Leonora was the daughter of García Álvarez de Toledo y Osorio, Marquis of Villafranca del Bierzo and Duke of Fernandina, and Vittoria dAscanio Colonna. Her father and mother were staying in Florence because García Álvarez had charge of the castles of Valdichiana in the region, when Vittoria Colonna died a few months later, Leonora was left in the care of her aunt Eleonora, the Duchess of Florence. 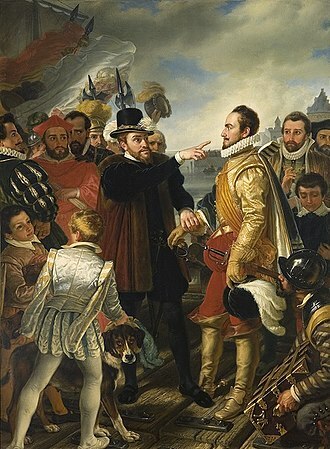 García Álvarez went on to become the Viceroy of Catalonia and the Viceroy of Sicily on behalf of Philip II of Spain and he was the son of Pedro Álvarez de Toledo, the Spanish Viceroy of Naples. She went on to bear Cosimo 11 children, including the grand dukes Francesco and Ferdinando, as well as Pietro. After Eleonora died in 1562, Cosimos daughter Isabella replaced her as the first lady of Florence and she acted as a surrogate consort and took over the supervision of Leonoras upbringing. The red-headed Leonora, who possessed a charm, was popular in the Medici family. 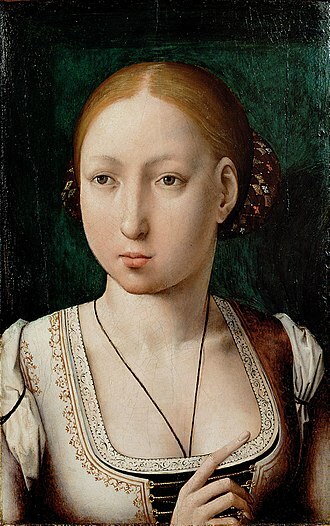 At the age of five, she was reported as being a comfort to Cosimos second daughter Lucrezia, from whom she became inseparable, when Lucrezia was apart from her husband Alfonso dEste. 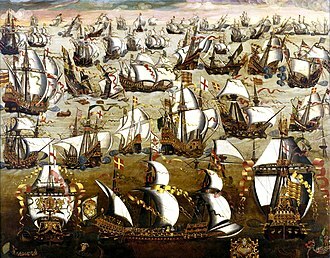 The Great Siege of Malta took place in 1565 when the Ottoman Empire tried to invade the island of Malta, held by the Knights Hospitaller. 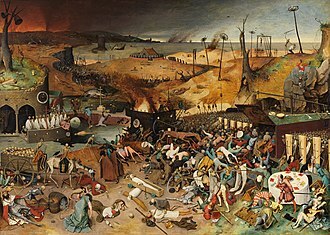 The Knights, with approximately 2,000 footsoldiers and 400 Maltese men and children, withstood the siege and this victory became one of the most celebrated events in sixteenth-century Europe. 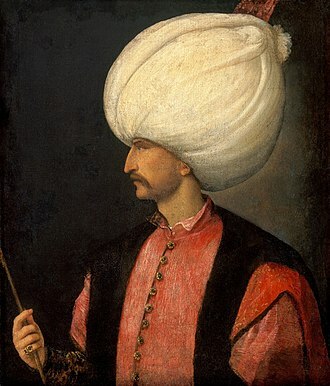 By the end of 1522, Suleiman the Magnificent, the Ottoman Sultan, had ejected the Knights from their base on Rhodes after the six-month Siege of Rhodes. 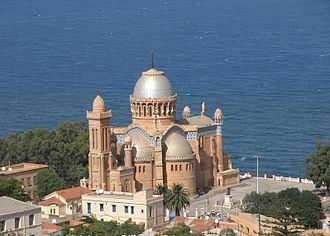 From 1523 to 1530 the Order lacked a permanent home, charles required the Knights to garrison Tripoli on the North African coast, which was in territory that the Barbary Corsairs, allies of the Ottomans, controlled. The Knights accepted the offer reluctantly, Malta was a small, desolate island, and for some time, many of the Knights clung to the dream of recapturing Rhodes. 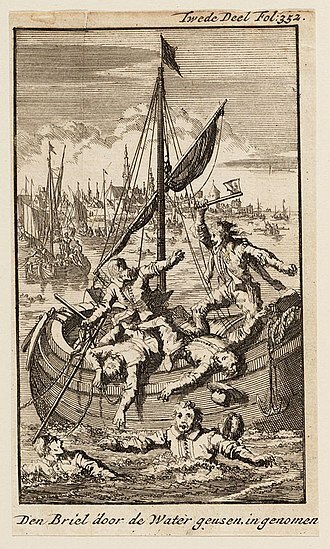 Nevertheless, the Order soon turned Malta into a naval base, in particular, the corsair Dragut was proving to be a major threat to the Christian nations of the central Mediterranean. 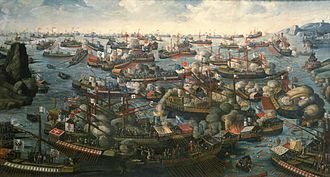 Dragut and the Knights were continually at loggerheads, in 1551, Dragut and the Ottoman admiral Sinan decided to take Malta and invaded the island with a force of about 10,000 men. After only a few days, Dragut broke off the siege and moved to the island of Gozo. 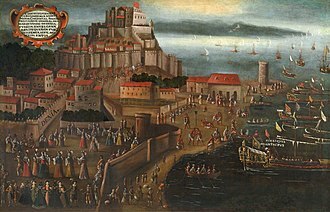 The Knights governor on Gozo, Gelatian de Sessa, having decided that resistance was futile, the corsairs sacked the town and took virtually the entire population of Gozo into captivity. 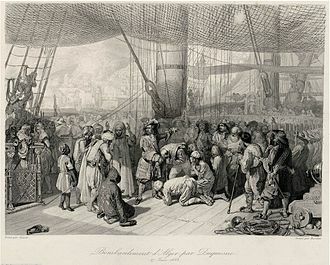 Dragut and Sinan sailed south to Tripoli, where they seized the Knights garrison there. They initially installed a leader, Aga Morat, as governor. The two new forts were built in the short period of six months in 1552. 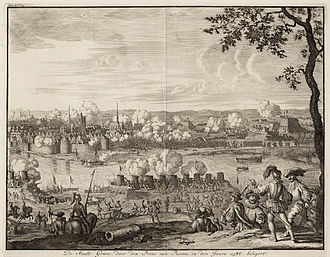 All three forts proved crucial during the Great Siege, the next several years were relatively calm, although the guerre de course, or running battle, between Muslims and Christians continued unabated. 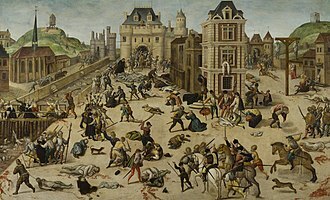 In 1557 the Knights elected Jean Parisot de Valette Grand Master of the Order and he continued his raids on non-Christian shipping, and his private vessels are known to have taken some 3,000 Muslim and Jewish slaves during his tenure as Grand Master. Spanish nobles are persons who possess the legal status of hereditary nobility according to the laws and traditions of the Spanish monarchy. 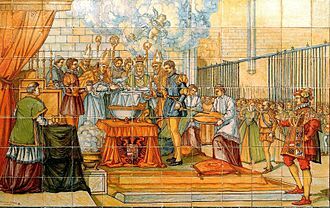 A system of titles and honours of Spain and of the kingdoms that constitute it comprise the Spanish nobility. 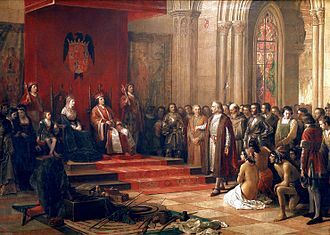 Some nobles possess various titles that may be inherited, but the creation and recognition of titles is legally a prerogative of the King of Spain, some noble titles and families still exist which have transmitted that status since time immemorial. Some aristocratic families use the particle de before their family name. During the rule of General Francisco Franco, some new titles were conceded to individuals. Despite accession to Spains throne of Juan Carlos I in 1975, noble titleholders are subjected to taxation, whereas under Spains ancien régime they were exempt. King Juan Carlos resumed conferral of titles to recognize those whose public service, artistic endeavour, personal achievement, Spanish nobles are classified as either grandees, as titled nobles, or as untitled nobles. At one time however, each class held special privileges such as and those who addressed the king uncovered, but put on their hats to hear his answer. 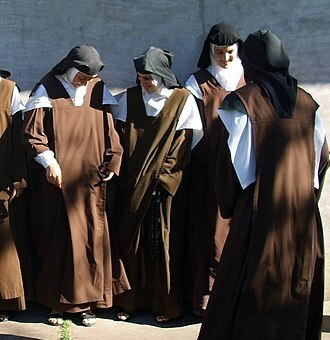 Those who awaited the permission of the king before covering themselves, all grandees were addressed by the king as mi Primo, whereas ordinary nobles were only qualified as mi Pariente. An individual may hold a grandeeship, whether in possession of a title of nobility or not, however, each grandeeship is attached to a title. A grandeeship is attached to the grant of a ducal title. The grant of a grandeeship with any rank of nobility has always been at the will of the sovereign. Excepting dukes and some very ancient titles of marquises and counts, thus, a baron-grandee enjoys higher precedence than a marquis who is not a grandee. Dukes and other individuals who are grandees are entitled to the style of The Most Excellent Lord/Lady or His/Her Excellency. Titled nobles who are of the rank of marquis or count use the style of The Most Illustrious Lord/Lady and those who hold a title with the rank of viscount, baron or Señor use his lordship/ her ladyship. "This Eleonora was a tall young woman, charming and beautiful, of becoming presence and endowed with courtly manners and virtuous habits." Portrait: Alessandro Allori, Eleonora ('Dianora') di Don Garzia di Toledo di Pietro de'Medici, circa 1571. 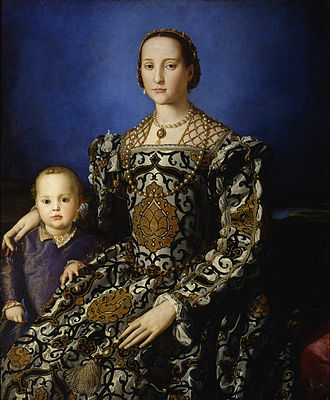 Eleonora di Toledo, Duchess of Florence, with her son Giovanni. By Agnolo Bronzino, 1545. The duchess raised her niece and namesake, Leonora, with her own children. Pietro de' Medici, the youngest and most disturbed of Cosimo I's children. Workshop of Agnolo Bronzino, 1560s. Isabella de' Medici, Leonora's mentor and confidante, with whom she shared much in common. By Alessandro Allori, early 1560s. The title page of a 1559 edition of Colonna's poetry.